It is recommended that you check in 60 to 90 minutes before your flight departure time. In the event of a flight delay, please check with your airline for updated check in times. 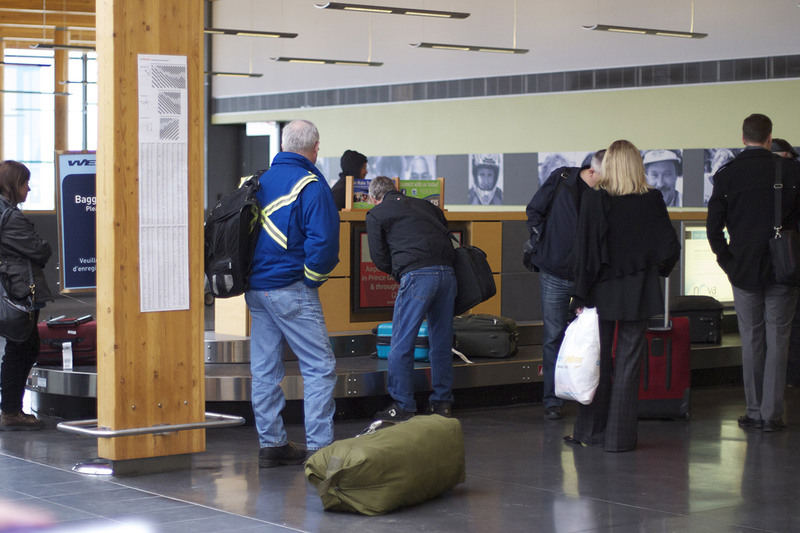 *Please note that check-in and baggage acceptance with Air Canada, Central Mountain Air and WestJet closes 45 minutes prior to scheduled departure time. Seasonal: During winter operations, aircrafts may board early to allow for de-icing prior to takeoff. Please proceed through security when instructed by your airline. A valid passport is needed for travel outside of Canada, including the United States. If travelling within Canada, one piece of valid (not expired) government issued photo ID or two pieces of Government Issued ID is required. Please note “Interim Driver’s Licenses” are not permitted. For more information, please click here. Please check with your airline specifically if you have any questions. The baggage allowance, as well as the amount you can carry on the aircraft, may differ from one airline to another. Please follow the links below for information on baggage allowances for your specific airline. Carry-on Baggage – Security Measures. Click here for more info from the Canadian Air Transportation Security Authority (CATSA). Acceptance of any item is always subject to available space on the aircraft and the requirement that it be x-rayed or otherwise inspected to ensure the article is genuine and not used to transport a prohibited item. Please click here to view our Canada Customs page.